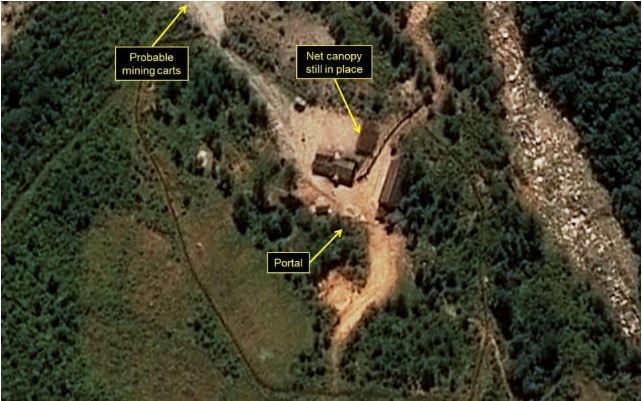 A tunnel at the site of North Korea’s sixth and most powerful nuclear test has collapsed, killing more than 200 people, according to Japanese media. Japanese broadcaster TV Asahi, citing unnamed North Korean sources familiar with the situation, said on Tuesday, Oct. 31, that around 100 workers were at the Punggye-ri nuclear test site when the tunnel initially collapsed. A second collapse occurred during a rescue operation, killing dozens more, bringing the potential death toll to over 200. After North Korea’s Sept. 3 underground nuclear test, which registered 6.3 magnitude earthquake, tremors continued to shake the area for weeks, leading some geologists to conclude that the region had become unstable. A 3.2 earthquake on Sept. 23, made headlines around the world, raising questions as to whether North Korea had conducted another nuclear test. While sources with China’s seismic agency said it was caused by an explosion, South Korea’s earthquake authorities said the seismic waves were not consistent with that kind of a blast. That quake was followed by a 2.7 magnitude tremor on Oct. 13. As landslides began to plague the region, experts began to warn that the blast, and those that preceded it, could have damaged the tectonic plates under the mountain where the tests were conducted. Satellite imagery taken by Planet Labs and provided by 38 North, has revealed landslides and seismic aftershocks have affected the mountain over the test site. 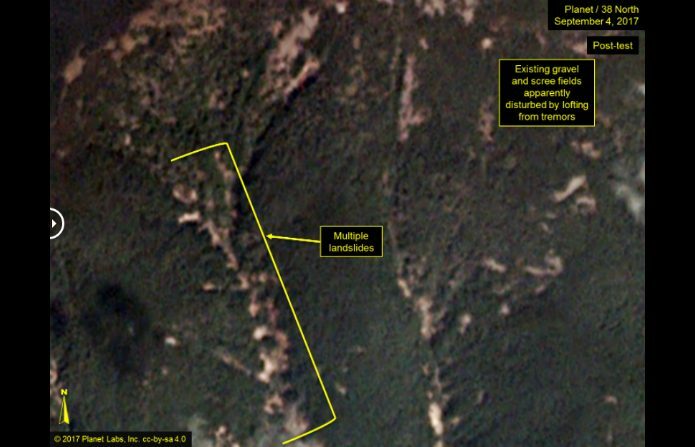 Mountain that likely served as the test site for North Korea’s five nuclear blasts is at risk of imminent collapse. The region, which is not normally prone to quakes, could be too unstable for future tests, geologists have warned. Earlier this month, the chief of South Korea’s weather agency Korea Meteorological Administration, told a parliamentary meeting that another nuclear blast could trigger a collapse of the North’s mountainous test site and a leak of radioactive materials. That concern has prompted fears that the top of the mountain could collapse, releasing nuclear debris from the bomb test that would create a nuclear dust cloud. If hazardous radioactive material escapes from the underground test site and makes its way to China, Beijing would see it as an attack on its territory, Jenny Town, the assistant director of the US-Korea Institute, told Business Insider. South Korean sources had earlier speculated that the quakes detected after the nuclear test could have been a tunnel collapsing. “The explosion from the Sept. 3 test had such power that the existing tunnels within the underground testing site might have caved in,” Kim So-gu, head researcher at the Korea Seismological Institute told Reuters. North Korea has threatened to test its next nuclear device over the Pacific Ocean, prompting a stern rebuke from the United States, South Korea, and Japan.